It's now time for part three of today's vineyard/barn wedding that Sasha of RSVP Event Planning and Management is sharing with us. 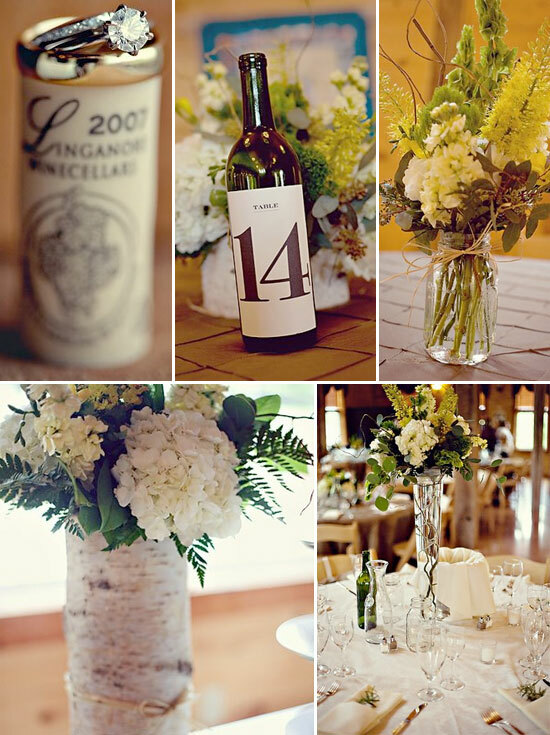 Sasha's wedding design is amazing and the photos by Jill Thomas Photography are superb and capture the day perfectly. 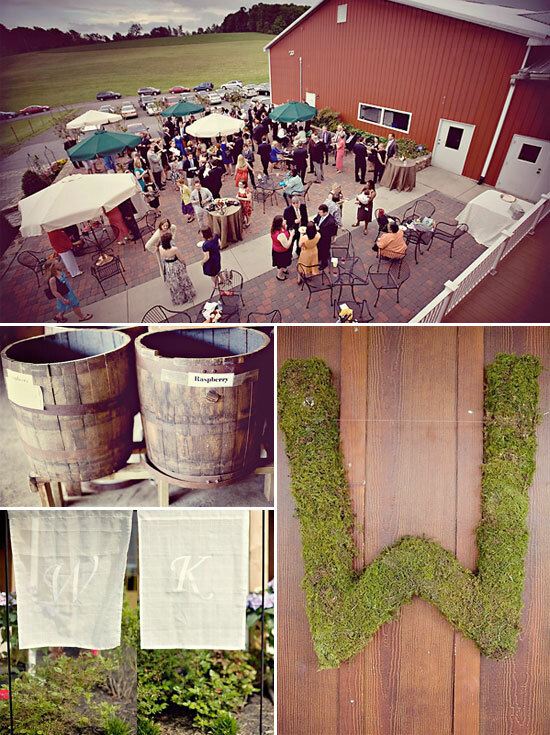 During the cocktail hour, guests dined on delicious appetizers and vineyard wines while taking in the special elements that were incorporated into the wedding - marriage certificate personally designed by a close friend and a moss-shaped "W" in honor of the couple's last name. The bride and groom had a surprise entrance when they entered the barn for dinner - their guests played "When the Saints Come Marching In" on kazoos. The reception featured flowers arranged in mason jars and birch vase holders and a buffet of assorted pies as Gina and Linton are not cake people. The couple also designed a photo booth for their guests to showcase their party animal personalities. 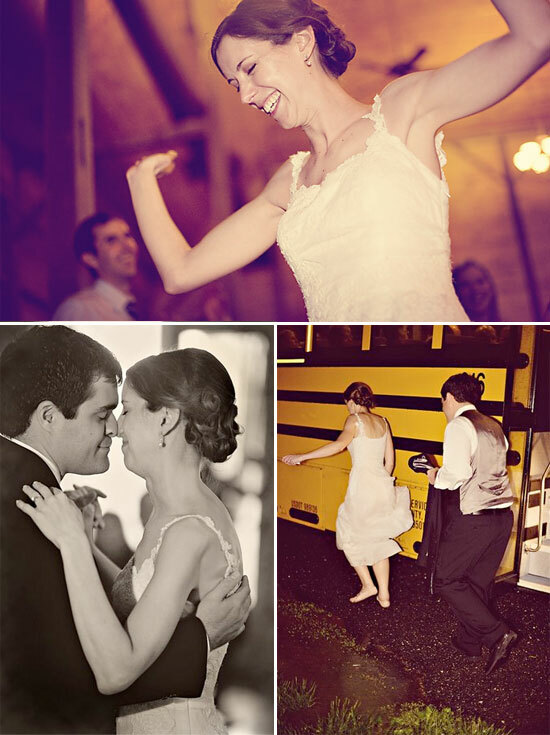 And, at the end of the night, guests dashed through the rain to hop on the yellow school buses back to their hotel. Thank you so much Sasha for sharing this beautiful wedding with my readers. I love how Gina and Linton put their own stamp on their special day and incorporated their personalities into the whole wedding day. To see more from Sasha, please visit her blog.